Aerospace and Defense (A&D) organizations are not new to the Internet of Things (IoT). In an industry where split-second decisions are made every single day, IoT sensors and automation are commonplace. The sheer volumes of data generated by the average flight are enough to boggle the mind. For instance, a single-engine plane can generate more than 844 TB of data in 12 hours. That’s more data than Facebook collects in one day, meaning that with more advanced planes and engines we could be talking about data volumes generated that would easily surpass that of the consumer internet. And, in comparison, that data is far more valuable from a business standpoint. The more sensors, the more insights there are to gather, and, arguably, the more efficient, safe, and controllable flight becomes. The market for IoT in A&D was estimated at $91.5 billion. By the year 2023, it is predicted to more than double, in large part due to the North American A&D market. While manufacturing continues to top the list of industries who are benefitting the most from IoT, A&D is not far behind, jumping on potential gains in operations, maintenance, and engineering. Making sense of it all is key to improved safety and performance. Whether we’re talking about fighter jets or short-hop commuter flights, IoT is the key to data collection and distribution, making our time in the air safer, more economical, and more efficient overall. IoT data collected from a jet engine feeds a predictive AI, which forecasts the demands of the engine to adjust thrust levels, leading to a 10 – 15 percent reduction in fuel, plus reduced emissions and engine noise. For engineers and designers of the engine technology, performance data is delivered in real-time, prompting adjustments to how aircraft are flown and reducing grounding incidence. Long-term maintenance contracts can be offered at a lower cost because issues are immediately transmitted to ground crews, reducing the time spent diagnosing issues and getting aircraft back in flight. The challenges seem to lie in the time it takes to transmit the collected data. 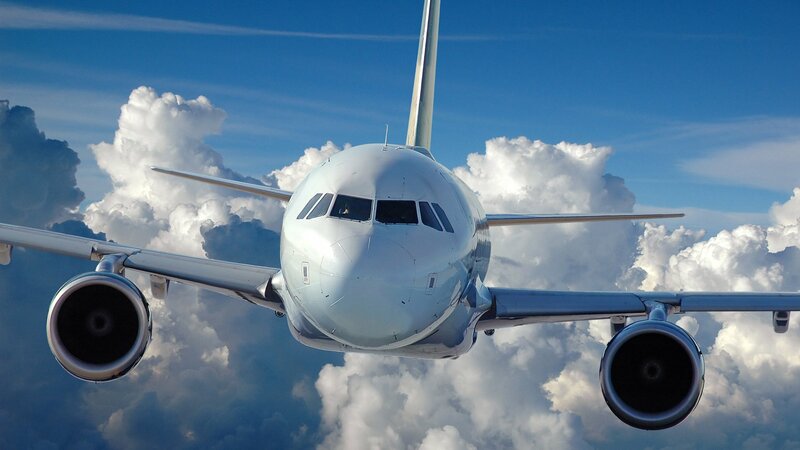 Even aircraft that use an Ethernet-based network can only transmit data at 12.5 MB/s. While this is much quicker than traditional avionics systems, it is a far cry from real-time. Once transmission speeds improve, we could see the “black box” being relegated to being simply a backup device. If you consider that a grounded A380 Airbus costs, on average, upwards of $1.2 million per day, the time an aircraft spends on the ground is a critical factor in the economy of flight. With IoT sensors to monitor engine performance from thousands of angles, maintenance times can be reduced and solutions implemented the moment the craft hits the ground, making flight safer, more predictable, and far less costly. As IoT continues to disrupt avionics in general—and aerospace and defense in particular—we will likely see more penetration in this sector, driving efficiencies and improving the viability of defense budgets in the process. A safer world may soon follow, and if we’re lucky, we taxpayers may see the benefits in our lifetime. If you would like to learn more about how IoT can benefit your operations, reach out today.